RACDC stewards 15 acres of flood plain forest in downtown Randolph. RACDC helps businesses that need assistance with site selection or planning, obtaining funding for small and large projects, and finding resources and technical assistance to start, diversify, and grow. RACDC continues to provide affordable quality senior housing for residents in Randolph. RACDC builds community by partnering with organizations to host events, workshops, fairs, and community projects. RACDC provides affordable housing for over 200 residents in 8 housing facilities in Randolph. We believe that having a safe and affordable home is fundamental to health. Thank you New England Grassroots Environment Fund! We are pleased to announce that, with the help of the Randolph Rotary Club, we have received funding for a picnic area in the floodplain forest off Prince street! Funding for the Randolph Floodplain Forest Picnic Area was provided by the New England Grassroots Environment Fund. www.grassrootsfund.org This project will be finished up in the spring; so stop in and check it out, and don't forget to check out the trail loop through the floodplain forest as well! If we had a community center for the tri-town area, what would it look like? Do you want a place to take classes, or hang out after school? Would you meet up with friends or plan game nights? And—since we don’t have a physical community center at the moment—how might to connect and improve the spaces and resources we do have? Take the Survey!and join us this spring as we explore how we might create a “community center without walls” and improve social and community opportunities for our three towns. 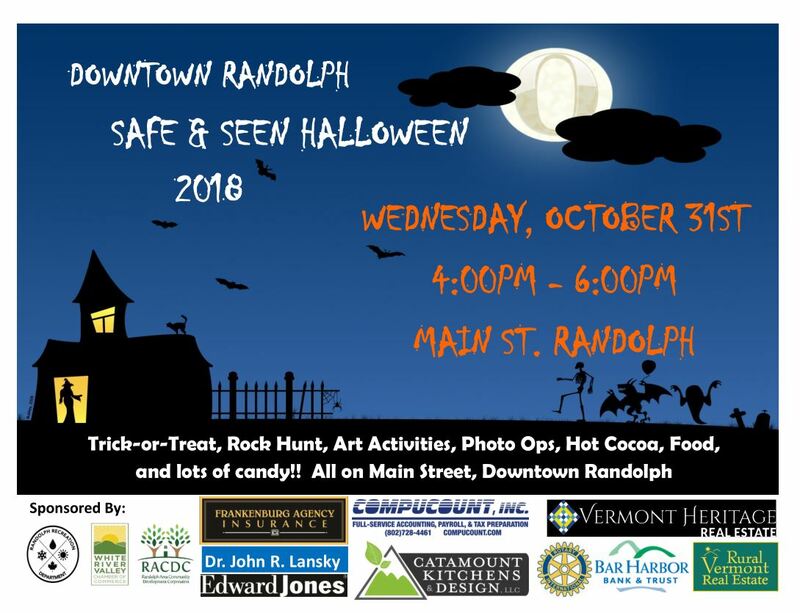 Business or building owner in Randolph's designated downtown district may be are eligible for tax credits to upgrade their buildings. Click to read more about the types of credits that are available and if you are eligible for the state downtown tax credit program. RACDC owns 15 acres of Flood Plain Forest in downtown Randolph. Click to learn about trails, native flora, invasive species, and volunteer opportunities. Eat, play, and shop in Downtown Randolph. Do you want to start a business and need a loan? Are you looking to expand or upgrade your current business? Contact us to see if our business loan is a good fit for you.